This set of 4 compact survival kits contains basic survival supplies to get you through those first 72 hours, plus a dynamo ready light and a first aid kit. 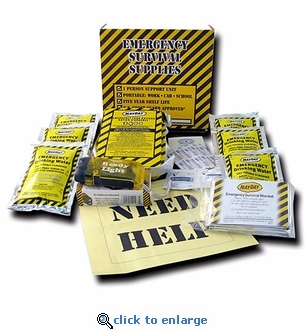 A great kit for office or school emergency preparedness. Each kit weighs only 3 lbs.